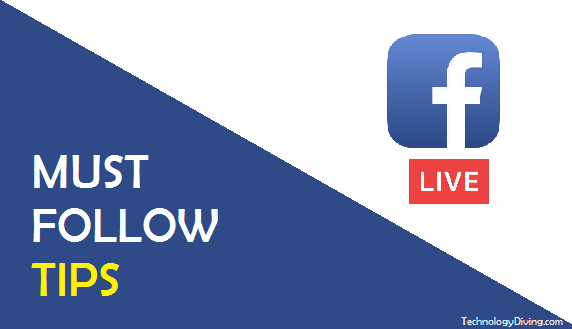 Facebook Live - Why And How To Use For Immense Business Productivity? 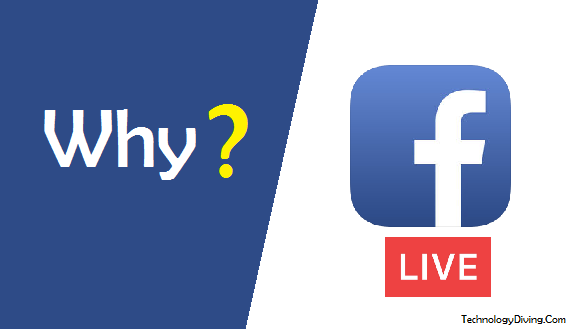 Facebook Live – Why And How To Use For Immense Business Productivity? Planning, publishing, sharing, quality, data metrics…What else are the elements of a successful business that combines to give you recognition? Hey! Did you miss social media engagement? Not literally though! In the era of digitalization, we believe you did not miss social media for sharing updates, business information and other buzzing feeds to keep your audience engaged. Well! It’s time when you spend enough on editing, scheduling and composing before going live on one of the most popular platforms; Facebook. Any idea, what are we talking about? Time up! Here, we are talking about one of the excellent features of Facebook; Facebook Live. No doubt, Facebook has not only gained a plethora of advanced and excellent features, but also the users. What’s holding you behind to take the advantage of its unbeatable features and become the ace of your competitors? If you are also a newbie in the marketplace and want to lead or you are one of them who spend millions of bucks on your marketing strategy, but failed. It’s time when you should switch to Facebook Live. Although there are many more platforms that are featuring Live option for its users, but believe it or not, Facebook is dominating the scene. For those, who still think, why Facebook Live for business, we will quickly summarize how it is helping business to attain the next level of success. Users always prefer broadcast in-real time against watching edited videos. You save a lot of time in creating fancy videos, hence you will gain more time for productivity. You get real-time data including your number of viewers, their comments and their profiles. Unlike other platforms that features Live streaming options, Facebook Live saves your video that you can share and tweet later. However, you can delete it also, if required. 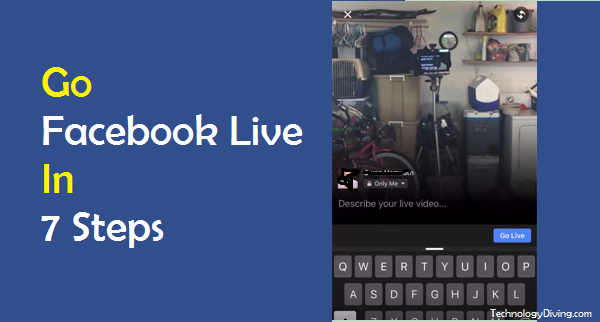 There are some more features of Facebook Live which differentiates it from others. It allows choosing your viewers. Keeping privacy and security in mind, Facebook Live lets you setting your privacy parameters. These were enough to help you understand why Facebook Live has become one of the significant elements of a marketing strategy. Let us briefly assist you to learn using Facebook Live like a pro. Step 1 : Login to Facebook either using mobile application. You can use desktop or laptop, if webcam is available. Step 2 : Under your Profile Picture, tap Publish button. Step 3 : Press Live Video. A new window will appear. Step 4: Before going Live, Facebook will assist you with a tutorial video which can be skipped. Once you are all set to go Live, tap OK on both the prompts. Make sure that your device has camera and microphone too. Step 5 : Do not miss or skip adding description to your live video under Describe your live video. Step 6 : Tap Go Live and start streaming. Step 7 : Last, but not the least. End your video using Finish button at the bottom-right corner of your screen. Hold On! Do not go live before replaying your video. Delete and go live again, if you feel the video do not justify your brand reputation. And, if it does, thumbs up! Go Live. This is not the end of tips for becoming a pro. A lot more is there that you cannot afford to miss. If you are going live for the first time, try using it with “Only Me” privacy setting. Maintain a frequency between live videos and other content shared on Facebook. Being a beginner, you may have a very few viewers which may raise to many each day. So, do not forget introducing yourself or your business repeatedly (not millions of times) with a maintained frequency. This will help your audience recognizing you or your business. Be spontaneous. You cannot deny the fact that audience always prefer spontaneous videos over planned or edited videos. You can involve your team mates randomly or walk and talk to give view of your background. Do not forget interacting. Yes! Interacting with your audience will bring maximum engagement. You can reply to the comments or organize a quick chatting session. Do not get over-conscious with mistakes. Just like people like behind the scenes, your audience will also give views to your mistakes. Laughing over your mistakes, calling it out and a bit of jokes will keep your audience connected and it will help building authenticity of your video and brand. All Set Up For Facebook Live? You cannot deny the fact that a blog or content takes a lot of efforts to bring audience and gain recognition. Another undeniable fact is, video has ruled all tactics to gain brand reputation. The reason being, in the fast pace of life, users wants a quick glimpse and interactive way to get business information and updates. Ultimately, video wins! And, what else when Facebook Live is ruling all the platforms to reach your audience in real-time. Next How IoT Can Serve As An Entertainment Source via Xbox?